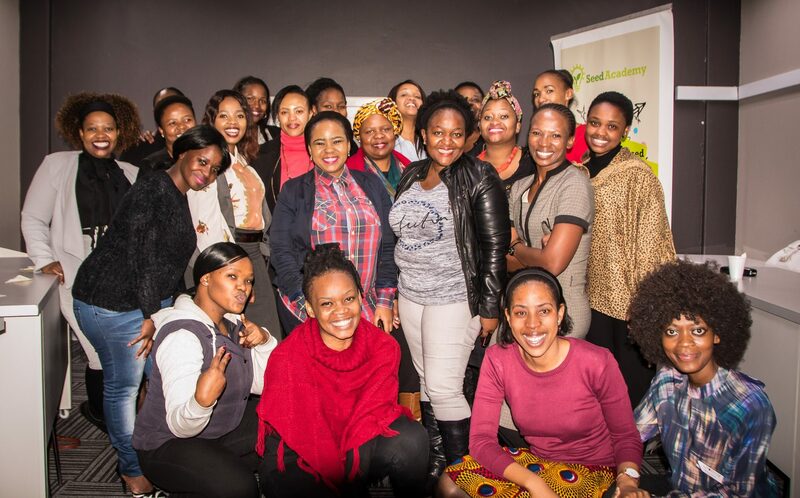 The inaugural Seed Academy/WDB AccelerateHer programme, a three-month business accelerator for female entrepreneurs, sponsored by Shell Downstream South Africa concluded by notching up a string of successes for young black female owned businesses. The fully-funded AccelerateHer programme provided 25 black female entrepreneurs with an intensive programme including developmental workshops, high impact business development support and mentoring from industry specialists and experienced entrepreneurs to fast track their development. Seed Engine CEO, Donna Rachelson notes that the rigorous 90-day programme has seen an impressive number of early successes for participating entrepreneurs with four successfully pitching to new clients, three increasing turnovers and expanding their client base, while one business secured a contract with a world-leading diamond company and a leading glass manufacturer. Another participant in the programme received a proposal request from a major African food retailer, two fledgling businesses have since become industry association members and a further two successfully secured the required industry licenses vital to their continued operations. “The strength of the AccelerateHer programme is that it can be customised for women entrepreneurs at all stages of development from the initial ideation phase, to enterprise development and supplier development,” explains Rachelson. In addition, the AccelerateHer programme creates a pipeline for the WDB Seed Fund, an impact fund that provides funding to growth stage businesses with a particular focus on black women and youth owned businesses. Through the inaugural programme, one business has been selected to be put forward to the Fund. Faith Khanyile, CEO of WDB Investment Holdings says AccelerateHer is a great vehicle for WDB to achieve its objective of advancing female entrepreneurship. “Through AccelerateHer we are able to create a pipeline not just for the WDB Fund to fund some of these outstanding entrepreneurs but also benefit the economy as a whole,” says Khanyile. Social Investment Manager at Shell South Africa, Ntobeko Mogadime explains that Shell was a proud sponsor of AccelerateHer because of its strong focus on women entrepreneurs as only one in three South African businesses are owned and run by women. “I’m impressed with the relationships we’ve formed in a relatively short space of time and the passion and dedication exhibited by all involved and we look forward to continuing these relationships to make sure we help more women in the country succeed in starting and sustaining viable businesses,” she says. The inaugural AccelerateHer also concluded with the announcement of its top achievers. Geneva Kuypers of Geneva Projects & Supplies was awarded R 50 000 towards her aspiring business sponsored by WDB Investment Holdings. The winner was joined by runners-up Lelo Rammitloa of Got Paper and Siphumelele Shabalala owner of Krypton Industrial Services who each received R 25 000 in funding from Shell to elevate their businesses towards sustainable growth.